Long Beach, Calif. – September 13, 2013 – Formula DRIFT has been invited to hold a drift demonstration at the Circuit of The Americas in conjunction with American Le Mans Series presented by Tequila Patrón (ALMS) and the World Endurance Championships (WEC) on September 21 – 22, 2013. 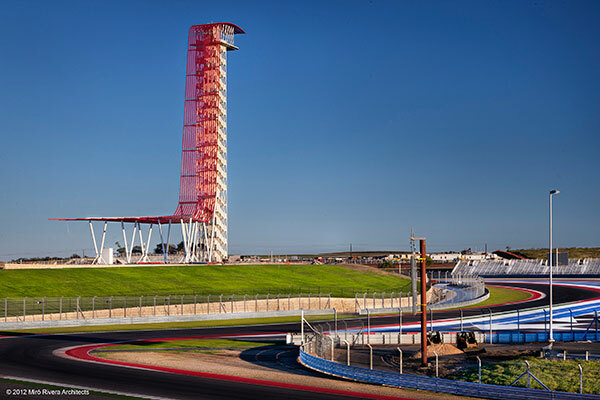 For the first time drifting will take place at the Circuit of The Americas track in Texas. Formula DRIFT professional drivers will be the first to drift at this new facility, one of the world’s premier racetracks. Tyler McQuarrie, Conrad Grunewald and Michael Essa are all crossover drivers with road racing background, while Justin Pawlak is part of Team Falken Tire that will also be fielding a team in ALMS’s GT Class over the weekend. The drift demonstration will take place during the race weekend for the ALMS and WEC Series. The Formula DRIFT demonstration will take place on Saturday, September 21, from 2:15 PM – 2:35 PM and again on Sunday, September 22, from 9:30 AM – 9:45 AM. 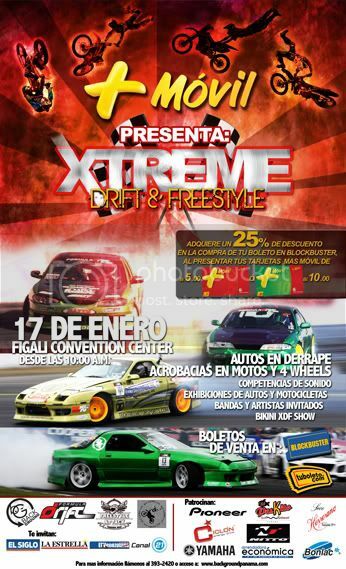 Mas Movil presents for the second consecutive year, XTREME DRIFT & FREESTYLE, the event of 2010 in Panama coming up on the 17th of January sure to entertain adrenaline junkies. It will be the great display of the extreme sport of Panama. Fans will be able to enjoy a combination of explosive international extreme sports talent. Four professional drivers; Joon Maeng, Justin Pawlak, Matt Powers, and Michael Essa from the world class Formula Drift Championship will make us feel the rage of their cars drifting across the esplanade of the Figali Convention Center, in solo and tandem demonstrations. The celebration would continue in the skies of Panama, as you watch skillful jumps to more than 15 meters high and 25 meters in length by top of freestyle motocross riders. Pre-sale ticket available from $20 at all Blockbuster Panama location. You will receive and additional 25% off discount, when you presenting your Mas Movil bill or pre-pay card. Promotions valid until the day of the event in the Blockbuster ticketing system. Event Starts at 10:00 A.M.